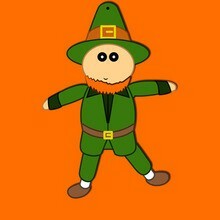 It is fun to think of the legend of the Leprechaun and his treasure of gold. This St. Patrick's Day you can make your own Leprechaun treasure box and fill it with lucky Irish coins. The treasure box can be used to hide from your friends and have them find the treasure or to just simply give as a gift to family and friends. Cut out the box design and all coins. Place your lucky coins in the box. 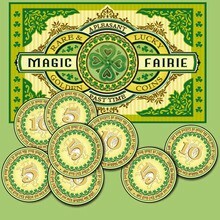 You are now ready to play with your Leprechauns Treasure Box or to give as a St. Patrick's Day gift. I love it!!! It`s grreeaatt!!! I have alredy printed some things out.